Child Custody Lawyer State College PA | The Mazza Law Group, P.C. 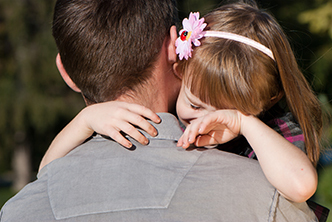 Looking for a Child Custody Lawyer? As a parent, you know that moments with your children are some of the most precious times in your life. You want to be there for their first steps, first lost tooth, first goal met, first date, and so on. We understand this connection, and we want to help preserve the bond between you and your child. Making sure that you get to spend quality time with them is not only your priority but ours as well. The custody lawyers at The Mazza Law Group, P.C. understand how important your relationship with your child is, and we work meticulously to ensure that your rights are being protected. Whether you are looking to establish your custody rights or modify an order for custody already entered by a court, the custody lawyers at The Mazza Law Group, P.C. will listen to you and advise you of your rights. After determining a course of action in your custody case, whether it is mediation, modification of an existing order, or enforcement of an existing order, our firm is committed to making sure the best interests of your child are met. Contact us today for a consultation with a Custody Lawyer to help in preserve the lifelong bond between you and your child. What does it take to prove that I should have custody of my children?